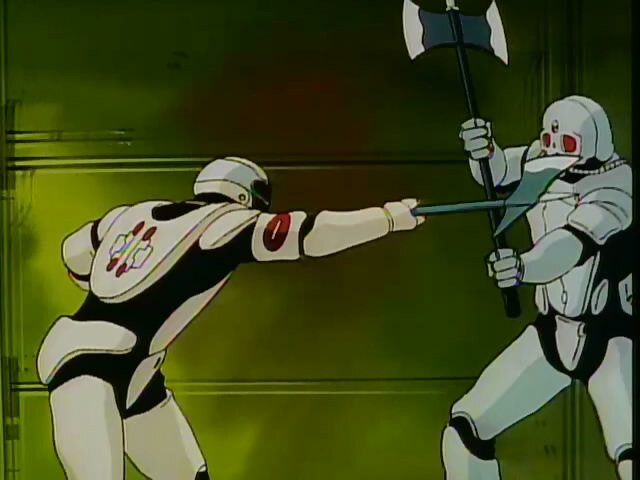 The 5th episode is the classic case of a battle being shaped by location more than the combatants. This is seen as fleets descend on Van Fleet 4-2 only to discover that there was little room to maneuver. However, the action on the ground was holding up a change of location. Ultimately, it proved to be a situation where everyone was unhappy where they were at, but no one could do anything about it. The battle on the ground proved to be more interesting than it would have first appeared given the vast differences in units. The narrow location of the battle meant that the Imperial forces could not utilize that advantage fully, despite the fact that the Alliance forces used a thin defense line. The Alliance though did have the advantage of never running out of supplies since they were defending a back-line base. The man in charge has no idea what he's doing. Also of particular interest was Luneberg’s tactics. He had anticipated that Schenkopp would be in charge of that particular aspect of the battle when the reality was that Schenkopp was coordinating the Rosenritter alone. Despite Cerebrese’s lack of ability in commanding ground battles, the Alliance forces were defending the base quite well. Then, there was the impact of political decisions on this battle as well. Kircheis wanted Reinhard to get his achievements from this ground battle before focusing on fleet battle for his own good, meaning he had to stick around for at least the short term. Grimmelshausen, weary of anything possibly happening to Annerose’s brother, had to wait for the ground forces to return. Muckenberger, fearful of having anything happen to Grimmelshausen, had to chase after Bucock’s fleet and fight against 2 separate fleets in a tight space while the ground battle continued. "Just what have we gotten ourselves into?" Bucock’s decision to ignore orders and largely act on his own has resulted in utter chaos on the Imperial side as a result of political rather than strategic decision making. It may not make a difference ultimately on the outcome of the immediate battle, but the long lasting effects are plainly obvious. Finally, on to the combat itself. There was something about the way this battle was fought which proved problematic. The sidearms provided by the Alliance were both pathetically weak, costing Valery her life, or horribly inaccurate at Storm Trooper level. With that firmly established, the only real action took place hand-to-hand. There were 3 separate encounters between the sides of particular importance. Rosenritter member Der Decken took on Luneberg despite Schenkopp advising his men to avoid conflict when possible. 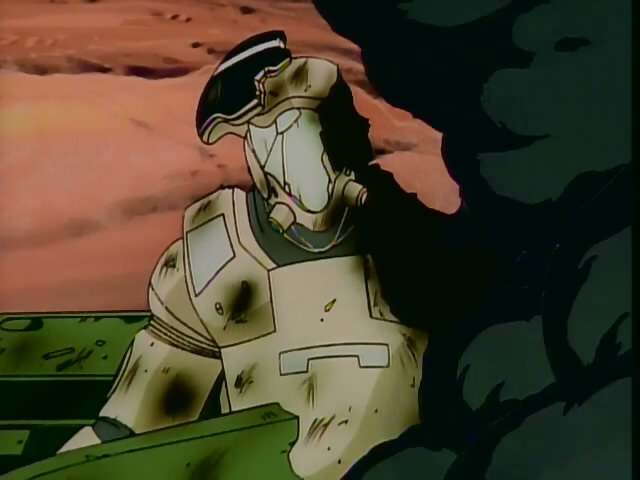 Inevitably that would be Decken’s last action. 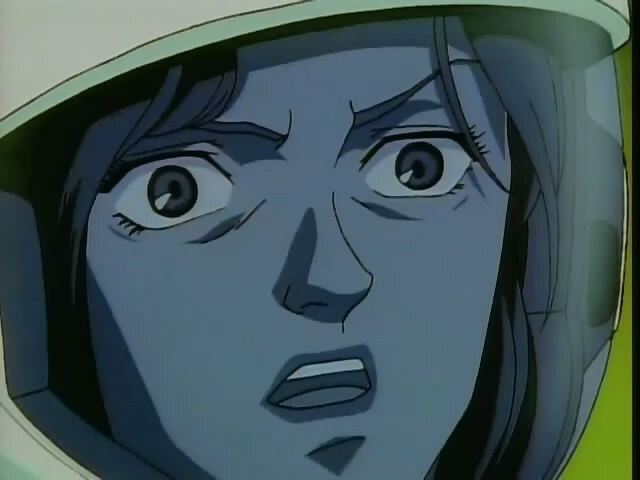 As Schenkopp left to go find Decken, he was confronted by Kircheis. They fought an incredibly even battle for a short time, and both were impressed by the skill of the other. 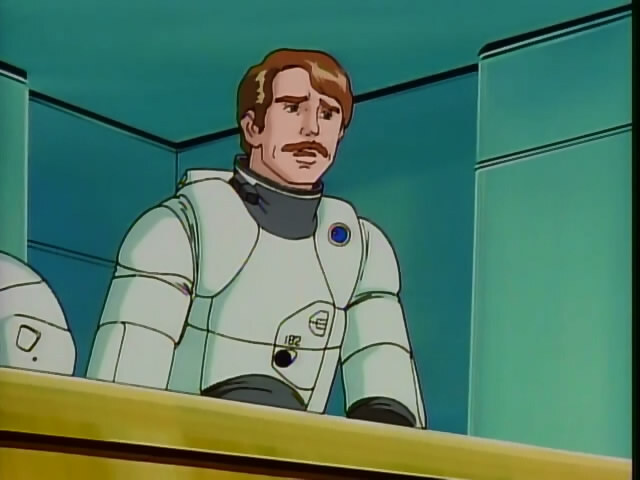 However, before Kircheis could give his name to Schenkopp, an explosion allowed Schenkopp to escape. He then found Decken’s body with Luneberg swatting away inferior opponents nearby. This set the stage for the 2nd round between Schenkopp and Luneberg. Schenkopp knocked Luneberg only to be thwarted by his axe breaking from rifle fire. Luneberg then gained the upper hand with a knife and Schenkopp tripping on his own feet. Blumehart arrived just in time, though, to chase Luneberg off. Thoughts: I didn’t really reflect much on the events in space because it was mainly very much in the style of Yang’s victory over Fahrenheit and Bittenfeld, if I remember correctly. Complete disorganization as ships collided into one another because they could not move. Going forward, there will have to be a 3rd and probably final encounter between Schenkopp and Luneberg to settle things, though obviously Schenkopp will win. It may not happen immediately, though. 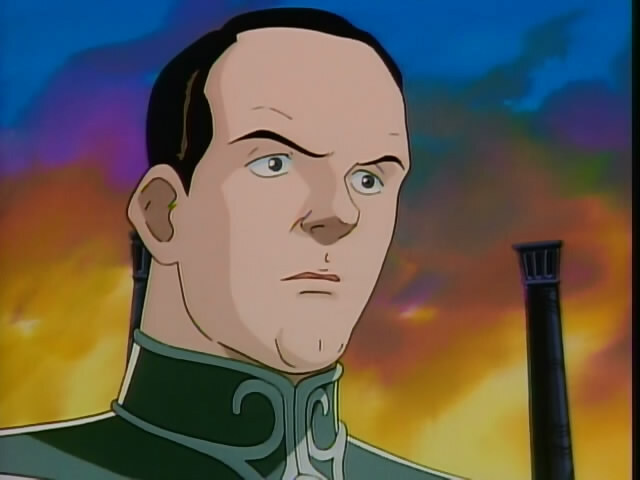 Also, Reinhard really played a minor role on his own here. I expect that situation to end quickly. Eh, I don’t think its reasonable to expect an Alliance sidearm to blow right through Imperial panzer-grenadier armor. The fact that it temporarily staggered her assailant is all that can realistically be hoped for. We’ve already seen in the main series that Alliance armor is perfectly capable (from the front, at least) of deflecting shots from Imperial rifles, after all. Recall also when two random Rosen Ritter were killed by Reuenthal’s guards – they were both shot in the neck. That’s fair enough, but it really should have meant running rather than standing there and accepting one’s fate. The Alliance armor also seems more powerful than the material they use to make their weapons. Also, the necks would seem to be an obvious weak point in most forms of armor, but that’s a sacrifice in exchange for flexibility.